SMi Reports: Industry leader BAE Systems announced as Gold Sponsors of SMi's 10th annual Air Mission Planning and Support Conference, alongside Leonardo. 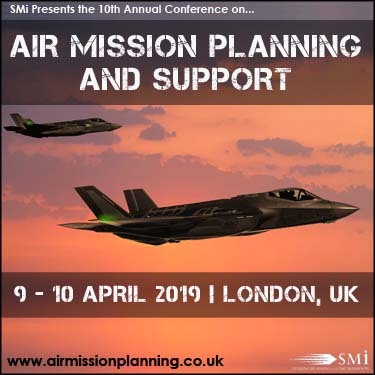 LONDON - Jan. 16, 2019 - PRLog -- SMi are delighted to welcome aboard their latest Gold Sponsor for this year's 10th Annual Air Mission Planning and Support Conference as BAE Systems, taking place in London, UK on the 9th and 10th April. This year's two-day conference is set to explore emerging aircraft technologies, strategies and future platforms to take Air Mission Planning into the next generation, providing agile end-to-end mission support. As the military's dependence on air power increases, commanders and procurers of air assets must continue to seek means of enhancing the combat effectiveness of their platforms via effective mission planning and real time support.